With an ultimate record of $2.53bn in Q2 in 2018, Amazon Web Services (AWS) doesn’t stop to amaze people and businesses. Despite the recent growth of Google Cloud and Microsoft Azure, AWS still commands nearly 40 percent of the cloud computing market share. The dominance of AWS in the IT industry as well as in growing demand for profitable cloud computing services has remained enormous from the very first day. For the first-timers, Amazon Web Services (AWS) is a cloud computing platform that is not only comprehensive but also very much scalable and flexible to the world by the leading e-commerce giant, Amazon. AWS offers a blend of Infrastructure as a Service (laaS), packaged software as a service (SaaS) and platform as a service (PaaS) offerings. In 2006, the official launch year of AWS, Amazon.com has build AWS from the internal infrastructure in order to handle its online retail operations. Amazon Web Services can be simply described as a highly demanding cloud computing platform offering a broad set of global compute, storage, database, analytics, application, and deployment services that help organizations to move faster, lower their IT costs, and scale applications. In addition to providing greater speed, agility, scalability, security, availability, reliability, and flexibility, AWS enables you to save on the total cost of ownership of your IT infrastructure. Join us to learn about the tools and best practices that many customers use to optimize their AWS environment and reduce costs. Some of these include Amazon EC2 right-sizing, scheduling Amazon EC2 and Amazon RDS, storage optimization, reserved instances, tagging, and cost visualization. So, now you might think how AWS will help you in your business growth? Over a year, more than a million customers are using and AWS is offering more than 70 wide-ranging services to meet nearly every business needs. Let’s have a look at the top reasons to choose AWS for your business. Amazon has targeted the entire global audience. AWS has grown to be the worldwide leader in cloud computing. Now it’s operating in 44 zones and 16 geographic regions around the world. Thus it enables you to deploy your web application in multiple regions and helps to lower the latency with a better web experience for your targeted audience at minimal cost. AWS is a server-based service and flexible cloud-computing platform which allow users to automate routine tasks and quickly scale capacity up or down as needed. The most important point is Amazon is extremely flexible and offers pay-as-you-go approach with the flexible pricing structure. Thus business owner can stop and start the instances as needed for the growth of the business bottom line. AWS easily adjust the server storage and infrastructure during the slow time. Small and mid-level organizations can also influence its services as you have to pay for only the resources consumed with pay per hour facility. Since data storage and data security are significantly important to businesses, when switching to a cloud provider or service storage provider, it makes sense that security would be a highly sought-after feature. AWS’s security is robust enough to tackle every possible challenge coming upfront whether you are the one-man startup or an enterprise-level AWS provides the same level of world-class security. The data center maintains a high level of security resources like IAM (Identity and Access Management) which manage dozens of infrastructure compliance to keep secure the real-time instances on suspicious activity. AWS is very much fit and healthy for all size of businesses. Because of its flexibility system, AWS has become the most demandable cloud computing infrastructure. All the services communicate with your application automatically and handle the situations accordingly. With powerful API it manages the server instances in quick time and shut down the instances when they are no longer needed. Businesses will get more traffic in the first phase. Amazon Web Services will also start supporting your business and in return, offer you flexibility, scalable e-commerce and storage solutions. Amazon Web Services will allow you to choose the programming language, database, operating system, and other assets as per your knowledge and choice. This is to aid you in creating the solution that works not just best but outstanding for your team. This platform allows the high level of customizations to meet the business requirement like cost tracking, organization security, and automation. Most of the IT professionals are little bit worry about the use of EC2 because if its cost factor. 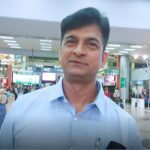 They have very less knowledge on AWS because EC2 is not like the traditional hosting solutions and it has designed to bring the server online and offline quickly as needed. The free tier provides credit to run an EC2 micro instance. It comes with S3 storage, EC2 compute hours, Elastic Load Balancer time, and much more. This gives developers a chance to try out AWS’s API in their software, which not only enhances their software but also ties them to AWS, which benefits Amazon in the long run. Andolasoft has the excellence on AWS is remarkable throughout and can assure growth in online sales through exclusive Amazon Web Services. 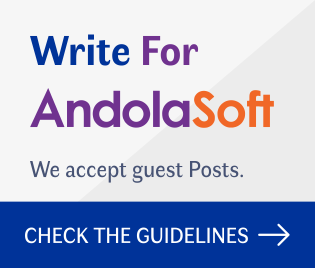 How Andolasoft Plans for Your Business Success with Premium AWS? 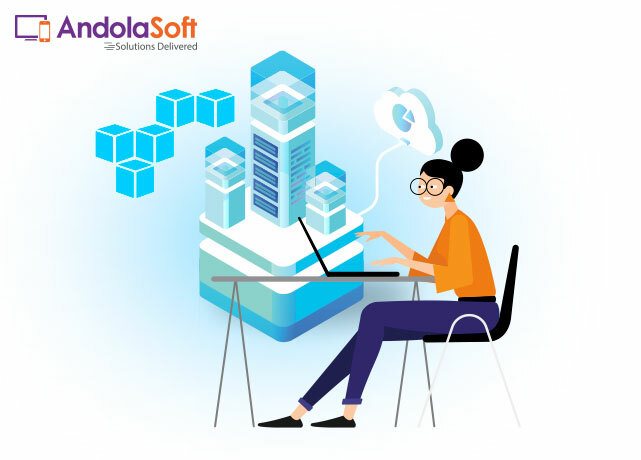 Andolasoft the web and mobile application Development Company USA is well-known in providing comprehensive AWS Management Services. We have a team of experienced and highly knowledge-holders to work on the collection of remote computing services that together make up a cloud computing platform powered by Amazon. Andolasoft is the consulting partner of Amazon Web Services and expertise in IT infrastructure management services like Elastic Block Store (EBS), Elastic Compute Cloud (EC2), Elastic Load Balancing (ELB), Simple Storage Service (S3), Relational Database Service (RDS), DynamoDB, Auto Scaling, CloudFront, Route53, CloudWatch, Elastic MapReduce (EMR) and ElastiCache. We have helped to reduce the It infrastructure cost of our customer PRIMP. 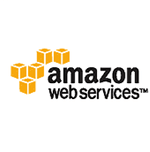 We are the recognized AWS Managed Services Provider. We have experienced and skilled team of AWS experts. Years of experience in support and maintenance to the demanding enterprise customers. Focus on where we provide the most value. We are having expertise in application migration. Our cloud services are available to create cross-over solutions that combine AWS with private clouds, dedicated servers, and collected equipment. Amazon Web Services is one of the best cloud computing services for IT infrastructure management. As your business grows you may need big data application for smooth operation of the business and AWS helps quick scale of any big data and you can access many resources according to your requirements. How to cut down Amazon Web Services (AWS) billing?